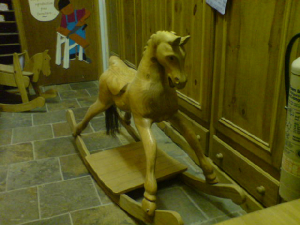 We stock, many different carved animals, ranging from large rocking horses such as this example shown. To smaller horses, monkeys, frogs, dolphins, pigs, cats and dogs and even the odd elephant ! We always are well stocked with such items so please pay us a visit soon as such items make perfect Christmas , birthday or Christening presents. 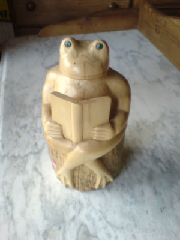 We Have many Hand Carved & Painted Items.